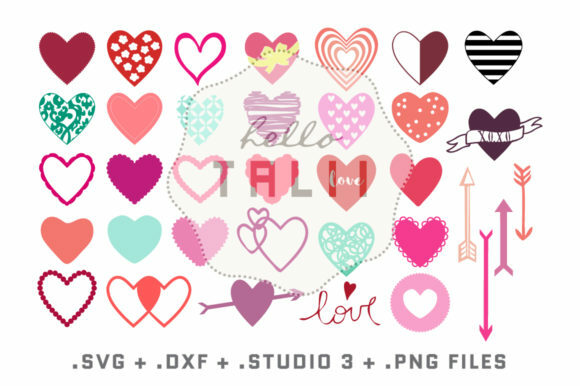 35 Hearts SVG CUT FILES. You can use them to make your Valentine cards, party invites, wedding decor, journal tags, 3D cards, gift wrapping. >>> To use you’ll need to have a cutting machine such as Silhouette or Cricut. You can use them separately and easily resize them them as you wish in your cutting software without loosing detail.